Post demonetisation, the RBI spent Rs 7,965 crore in 2016-17 on printing new Rs 500 and Rs 2,000 and other denomination notes, which is more than double the value spent in the previous year that is Rs 3,421 crore. Over 99 percent of the demonetised currency was returned, as per the Annual Report 2017-18 of the Reserve Bank of India (RBI). The report was released on August 29, 2018. In November 2016, the Union Government withdrew Rs 500 and Rs 1000 currency notes from the circulation with effect from November 9, 2016. The demonetisation was hailed as a step that would curb black money, corruption and check counterfeit currency. RBI has completed the processing of demonetised Rs 500 and 1000 banknotes; 99.3 percent of the notes worth Rs 15.3 lakh crore have been returned to banks. After a thorough verification and reconciliation through Currency Verification and Processing System (CVPS), the total value of the Rs 500 and Rs 1000 banknotes as on November 8, 2016 stood at Rs 15,417.93 lakh crore, and the total value of the notes returned from circulation was Rs 15310.73 lakh crore. The difference between the outstanding currency notes in circulation before demonetisation and the currency notes returned to the RBI, which is Rs 10,720 crore, has now been shifted to the RBI’s ‘Other Liabilities and Provisions’ segment. This amount was earlier a part of ‘Notes issued’ segment. The RBI had already put out this data in its Annual Report 2016-17. However, at the time, it cautioned that the currency returned still needed to go through a final round of checks. The report stated that around 99 percent of the demonetised notes that is Rs 15.28 lakh crore have been returned to the bank. • Post demonetisation, the RBI spent Rs 7,965 crore in 2016-17 on printing new Rs 500 and Rs 2,000 and other denomination notes, which is more than double the value spent in the previous year that is Rs 3,421 crore. • During July 2017 - June 2018, the RBI spent another Rs 4,912 crore on printing of currency. • The value of banknotes in circulation increased by 37.7 percent since demonetization to Rs 18,037 lakh crore as at March-end 2018. • With more circulation of Rs 500 new banknotes over the last one year, the share of Rs 2000 banknotes declined to 37.3 percent by value as on March 2018 as compared to 50.2 percent in 2017. • The share of Rs 500 note, in terms of value, increased from 22.5 percent in 2017 to 42.9 percent in 2018. • The share of newly introduced Rs 200 banknotes in the total value of banknotes in circulation was 2.1 percent as at end-March 2018. 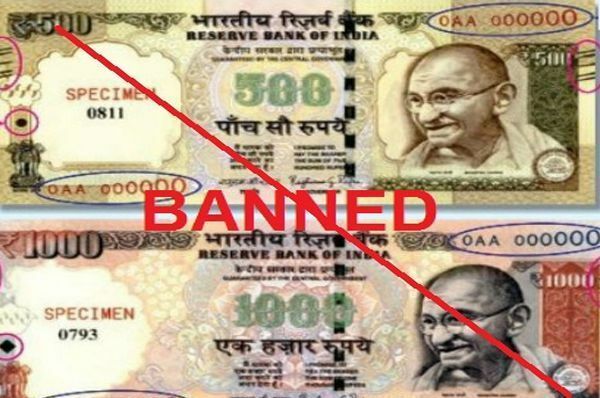 • As per the RBI, counterfeit or fake notes detected in Specified Bank Notes (SBNs) decreased by 59.7 and 59.6 percent in the denominations of Rs 500 and Rs 1,000, respectively. • In comparison to the previous year, there was an increase of 35 percent in counterfeit notes detected in the denomination of Rs 100, while there was a noticeable increase of 154.3 percent in counterfeit notes detected in the denomination of Rs 50. • Counterfeit notes detected in the new Rs 500 and Rs 2,000 notes during 2017-18 were 9892 and 17929, against 199 and 638 respectively in 2016-17.